America, Get Ready To Hatch, Feed And Clean-Up. Tamagotchi Is Back! '90s kids hoping to relive their childhood can now do so in full glory with the return of everyone's favorite digital pet, Tamagotchi! This year marks the 20th Anniversary of Tamagotchi in the United States and to memorialize the occasion, Bandai America is releasing a smaller version of the device in limited quantities on November 5, 2017. Awakening and evoking nostalgic feelings from the mid-to-late '90s, this smaller Tamagotchi device features the familiar egg shape, pixelated LCD charm, and, of course, the recurrent need for tender-loving-care that endeared fans in 1997 when it was first released. 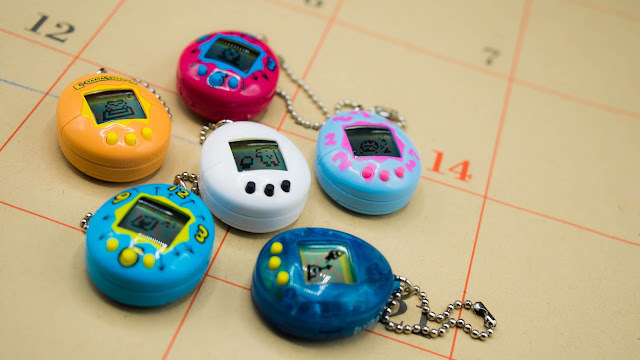 Like the original Tamagotchi device, the mini Tamagotchi includes six different shell designs from the initial Japanese launch and each one includes six characters. To pay homage to fans, the mini Tamagotchi will also feature the iconic packaging design of the original Tamagotchi device. Now, both original fans and new fans can obsess over caring for their Tamagotchi character, and as they do the character will uniquely grow and develop. "For many Generation X kids, the Tamagotchi device can be considered America's first and favorite digital pet," says Tara Badie, marketing director for Bandai America. "The enduring power of Tamagotchi is its clear expression that nurturing and love never goes out of style. It's such an honor to bring back one of the most beloved toys in a way that captures the magic and joy of a generation while embracing the sensibilities of new generations." In celebration of its upcoming launch, all generations that want the chance to feed, play and clean up after their virtual pets can pre-order their Tamagotchi device starting today at various North American retailers. The mini Tamagotchi devices are sold individually with a suggested retail price of $14.99.